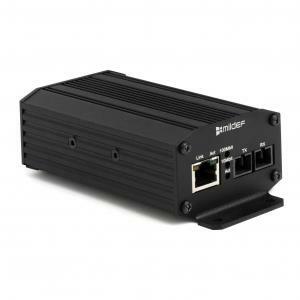 The Ethernet Mediaconverter was designed for ultimate ease of use. Mounting is simple and once you have it up, you’re free to plug-and-play. Integration with your setup is also simple thanks to a voltage range of 10-32 V. And you don’t have to worry about the converter continuing to perform as it’s designed to withstand the most extreme environments over the long haul.